Vaping news, reviews and politics. In March I wrote about a new law proposed in Denmark that would in practice ban e-cigarettes and was supposed to take effect already in November this year. Have a look here (scroll down a bit). Today, however, I'm happy to see that the Danish Ministry of Health have decided to postpone the processing of this proposal until the next parliamentary session which would also be after the next election. According to DADAFO (The Danish Union of Vapers) this means that e-cigarettes and vaping at this point will not be included in the new "law on smoke free environment": http://dadafo.dk/lov-om-e-damp-udsaettes/ (in Danish, hope google translate works fairly well). The Ministry of Health say they want to use more time to gather knowledge and information. All in all appx. 1.300 individual mails were sent to the ministry - and DADAFO believes that the amount of personal letters from vapers - explaining what the proposed law would mean to them - if implemented as was - made all the difference. 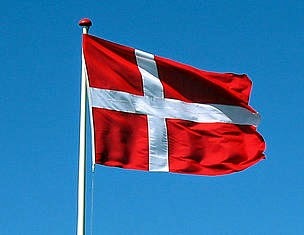 The law has "only" been postponed, until after the general election for parlament in Denmark. The election has to have taken place before start of september this year. I have seen vapers in big companies where staff wasn't allowed to smoke. So, I am really wondering why so many people are making such a big effort to ban ecigs for no reason - Nobody says it is healthier than an apple but it is a way to quit smoking, which is definatly more toxic than vaping. Interesting also that nobody comes up with a clear solution for this issue... shows that naked truth and lobbying don't lead to a structured concept based on facts and representative studies. The work that dadafo and individual vapers have inked has really paid away from. Congratulations to you almost all! And I guess a many thanks is also in buy, from us Norwegian vapers. This may surely be noticed by Norwegian politicians at the same time and will make it better to achieve our goal... to let vaping save as much lives as possible. Booking Buddy is the most popular travel search website, you could use to compare travel deals from the top travel booking agencies. I thought its a great concept and a good step towards quieting cigarettes, E-cigs are good for those chain smokers who are trying to quit cigarettes, there are some affordable online Vape shop like from where you can bring your own latest vape eLiquids , ecigs, vape tanks, vape kits, vape pens, clearomizers, atomizers, vape mods and replacement coils. Tips, feedback, wan't me to do a review?